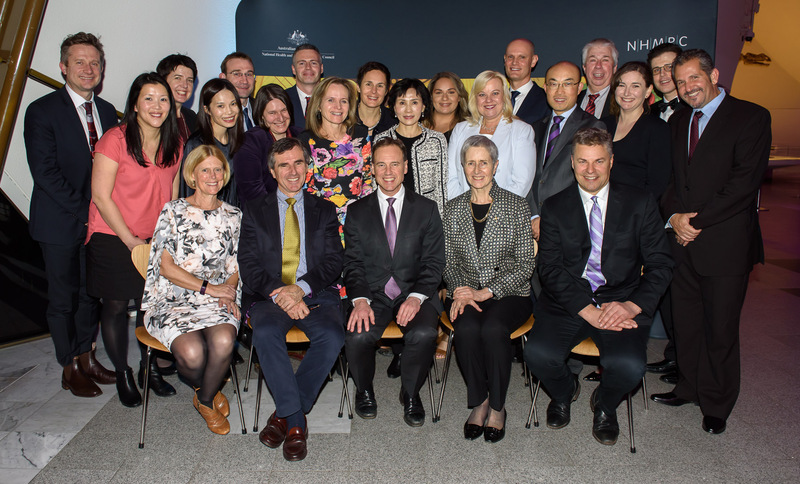 It was a great night for Monash Medicine, Nursing and Health Sciences in Canberra on Wednesday 27 June. Twenty of Australia’s finest health and medical researchers were honoured at the National Health and Medical Research Council (NHMRC) annual Research Excellence Awards. Among them, three of our very own outstanding researchers: Associate Professor James Bourne (ARMI), Doctor Trisha Peel (Central Clinical School) and Doctor Joanne McKenzie (School of Public Health and Preventive Medicine). Associate Professor Bourne took home one of most prestigious accolades, the Marshall and Warren Award, for the most innovative project with potential to change the way an illness or disease is diagnosed, treated or prevented. Associate Professor Bourne’s research seeks to better understand the complex circuits between the brain and the eye, with the goal to help people recovering from brain injury and children experiencing difficulty with their vision. His work has identified why children with a visual brain injury often recover better than adults with similar damage. “The knowledge we have gained provides important clues as to how we could better treat brain injury in patients of all ages. Our research will also help children who start to show early signs of movement and vision problems, by clarifying why they may be experiencing those problems and how we might overcome these challenges”, Professor Bourne explains. Keen to find out how Monash Medicine, Nursing and Health Sciences seeks to improve outcomes for patients and communities on a global scale? Find out more about our research today. Authorised by: Chief Marketing Officer, Strategic Marketing and Communications. Maintained by: FMNHS Web Team. Last updated: Jul 2018.